Elder M. Carl Madsen, was born in Manti, Utah, to Leslie J. and Reba A. Madsen. He married JoAnn Sorenson and they are the parents of four children. 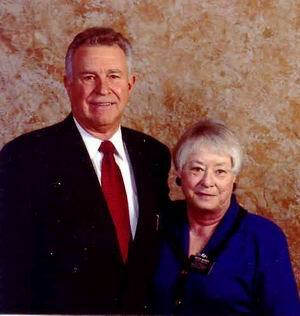 Members of the Casper 5th Ward, Casper Wyoming Stake, he and his wife served as missionaries at Martin’ Cove in Wyoming and he has served as a high councilor and bishop. He is the owner of his own business. Sister Madsen was born in Ferron, Utah, to Harold Hans and Mary Fannie Campbell Sorenson. She serves on the activities committee and is ward librarian.